U-Tote-It carriers are the easy way to transport fun food machines. They also function as stands for operation of the machines. 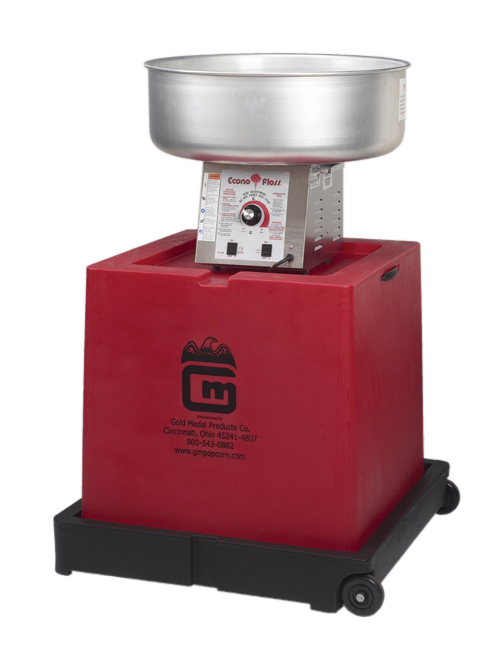 The Floss U-Tote-It can be used with the following cotton candy machines:Floss Boss, Econo Floss, Stainless Econo Floss,Floss Maxx, Breeze, Accu Breeze, Auto Breeze, & Mega Floss cotton candy machines. Both the double bubble and machine can be stored for safe keeping. Size 32" W x 32" D x 30" H.
Machine in picture, not included. Price is for cart only. This item must go by truck. Please call for best rate. Rates can vary due to delivery restrictions.